Storage Plus Kingsgrove is a brand new, purpose built storage facility with the latest in storage features and solutions. Whether you’re relocating, de-cluttering or just after the best priced storage in Sydney, speak to us today for a free quote. Storage plus has been amazing … easy to load and store, convenient and relatively cheap. The moving guys were friendly too!! I would certainly recommend storage plus to my friends and family. Thank you!! Used storageplus and MaxiBox for removal and storage then re delivery of excess items from our home before the sale of our house. They were careful in packing the maxi boxes, then storing the goods and re delivering them to our new house. Economical and efficient company. Thanks so much. In terms of feedback for you guys – always found dealing with your company a real pleasure. You made access easy and it was never a hassle to organise anything. Thanks for your assistance over the last few years. I wouldn’t hesitate to recommend to others, and I will call on you if I need again. Large facility with a range of under cover storage units, under cover truck, van and car access along with forklifts with helpful drivers, pallet trucks, cartons etc, polite office staff and more. The team at Storage Plus were helpful and accommodating when arranging me a spot to store my possessions. They were always quick to respond to emails and calls and the onsite team is incredibly enthusiastic and willing to offer help any chance they could. Not to mention, competitive pricing! Just moved my worldly belongings into Storage Plus with the lovely Mark from Ariel Removals Efficient and friendly, everyone involved! Thanks so much! Jhay Tomas and Abbie were so kind and wonderful in helping us sort out our father’s storage, as he was no longer able to. It was an absolute delight dealing with Abbie, what a treasure! Thank you again, Storage Plus, I would highly recommend using these facilities. Extremely friendly, helpful and efficient service with clear guidelines. I have no hesitation in recommending or using Storage Plus again. Me and my husband have used Storage Plus for a few years and are very satisfied with the overall service. It is the best storage solution about the area. Cheap yet better storage space and quality service from the staff compared to other providers around the area. Opening hours are so convenient. We are very pleased with everything and highly recommend for anyone. I have been a customer of Storage Plus for many years and its has been a wonderful experience. Our stuff was stored without being damaged for many years. The staff are very friendly and engaging. I used a Maxi box while we travelled overseas. It was handy that we could load everything into the trailer and not have to unpack until we returned. Unfortunately there was a lot of issues with the delivery and pick up of the box. Otherwise it was cheap in a good location and our goods were well stored during our time away. Very good service, very happy I chose storage plus. Will definitely be using storage plus again, and more then happy to recommend to friends and family. I would recommend to all my family and friends to use Storage Plus. The staff were so nice and very kind to me. I cannot thank them enough for being so helpful. I wish everyone in the Storage area in Rosebery all the very best. Kind regards Sue Davey. I was really happy with the approach and responsiveness of the staff. There weren’t many companies that offered removalists with the storage which is why I selected Storage Plus. Thomas was friendly and careful with my furniture and I have recommended the firm to the agent that sold my house. Thanks for the storage. Convenient, helpful and cooperative , good hours and access. Good price. I rented a storage for 4 month. Everything gone great! I didn’t have any trouble. All the times that I went and I need to move or take some of my stuff they were very kind. I really appreciate. Thanks for everything! Very friendly and accommodating staff! Will definitely avail their services again. I’ve tried other storage companies but nothing beats the service of Storage Plus! Highly recommended! Superb service and the staff were so nice! Great job guys! Cheap Storage Facility close to the city. System works a treat, staff are always friendly and helpful, would recommend them to anyone looking for storage in the Inner Sydney area. I have used Storage Plus over the years and always found them super friendly, flexible and have a family business kind of atmosphere- highly recommend! I have been using Storage Plus for last 5 year and they provide the best storage solution in the area. Reasonable pricing, quality storage spaces and most importantly open all 7days. I am very pleased with every thing and highly recommend for any one. We have been with storage plus for over a year now and are extremely satisfied with their 5 star service . Staff members are also professional and extremely friendly . The forklift drivers take extreme care with out high end products. Thank you storage plus. I have been storing with Storage Plus for over 8 years now. The staff have always been extremely friendly and helpful and have often gone the extra mile when I needed help. Management are very approachable and have never turned down a reasonable request. We have been a customer of Storage Plus in Rosebery for over 13 years and have never had a single problem. The staff have always been friendly, courteous and super helpful. The facilities are well maintained and the pricing is very competitive. You wont find a better storage facility in the eastern suburbs. EXCELLENT service with a smile. Happy to use their service again and highly recommend to others. The containers are a good size for packing and easy to manage. The door on my containers was stiff to open and a member of your staff didn’t hesitate to help me open it. The Storage Plus team has provided excellent service and value for money. Storage Plus is highly recommended to resolve your storage issues. The best location ever, great service, very competitive price, long business hours, easy access to storage units and awesome forklift drivers! We can highly recommend Storage Plus services es to anyone looking for storage solutions in Sydney CBD. I have used Storage Plus for years. I’ve always loved the security there, the central location, and the friendly team. 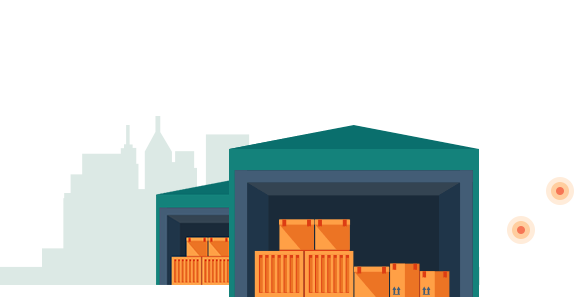 This is the third time I have used Storage Plus and can thoroughly recommend them: the units are clean and secure, the forklift drivers are prompt and helpful and the admin staff are friendly and quick to help. Definitely recommended. Hi There Great service, great price & the delivery guys were awesome ?? Storage Plus is a great facility, good value for money. Stuff was always responsive to our needs. Forklift drivers are always available and helpful when we need them. We definitely recommend this facility. Storage plus has made the whole ordeal of storing my belongings a positive experience. Their customer service is professional, friendly and extremely helpful with the many questions I had. I got the best price of storage in Sydney and on the day I had to store my belongings the service was prompt, timely and reliable. Professional, reliable, easy to use and personable staff. They make sure you are looked after and are open to answer all queries. The fact that the packaging materials get delivered to you makes the move even smoother. I have just moved out of my place as I’ll be traveling and I found the service great and the price is good too. I highly recommend it! Affordable, convenient with great customer service. We just did an office move and storage plus made this the easiest process. They kept the key on hand recommended movers for us, kept up the communication. Fantastic job guys. Thank you so much. Good service and price, located just 7 minutes from airport…that’s just what you need! Great service provided a great solution for us inbetween moves!!! I’ve used Storage plus for the past 18months,I always find the staff very friendly and helpful when dealing with them, I have peace of mind knowing my belongings are safe, I would have no hesitation recommending Storage Plus to anyone…. My dealings with Storage plus and the staff have always been friendly and efficient. They provide a great service in a very competitive industry Love going in a seeing all those streets of wooden units stacked 4 high. It’s amazing they make it all work so well. I have been using storage plus for the last 11 years and found them totally accommodating to my needs.Storage plus are very helpful and have made my storage needs a breeze. I found storage plus very attentive and reasonably priced.I don’t know much about storage but they explained their service and their product clearly to me with a bit of humor. This really sold me. There’s Nothing like Enthusiastic and polite staff when you need it. Storage Plus has been a true saviour to me when I sold my house. Truly well done. I recently organised storage with the people at Storage Plus. They were highly recommended to me by my removalist. They are not only much cheaper than most other places I’d called, but it was a dream working with them. The staff are very friendly and helpful. Great customer service, best pricing in Sydney as I researched and was a very easy move in process! I had an issue with a payment and was very impressed with Storage Plus and their prompt support.The matter was resolved without a fuss. Their customer service is excellent. Approaching 3 years with StoragePlus. Service is personal, but never too overwhelming. I like that they call me by my first name. No interest for 10 days pre payment is also appreciated! I am writing this email to let you know that your good service really impress us.Great friendly and helpful staff.Storage Plus has the space we need and the access when we need it at an affordable cost.Good work guys. I’ve used Storage Plus for both personal and work related storage for at least 5 years. I’ve used a variety of Storage Plus options over the years and been very happy with every experience. The level of service is consistently 5 star, even through times of change and appreciate it very much. Thanks guys! Thank you for being most helpful whilst storing with you. Your team went out of their way to help us find the perfect storage unit which was most appreciated. We are still storing with you and very happy to continue doing so. I first spoke to a wonderfully helpful girl called Jenny when I was in a difficult situation . I had to quickly store furniture, and having never done this before I was so impressed with the care and attention I received I would have no hesitation recommending this company . Jenny showed me kindness and compassion at a time I needed it most . Storage PLUS = PLUS friendly, courteous service, PLUS best rates, PLUS easy access to and fro your unit, PLUS clean and secure premises, PLUS convenient location and trading hours = HAPPY CUSTOMER for over 6 years!!! Thank you! We find you have excellent service.Your staff are friendly and helpful. It is a great storage facility. Easy access and available most of the time, with friendly staff. I think the service and product that Storage Plus provides is excellent. I will be recommending them to my friends. Great Service and Price. Always friendly and helpful. Highly recommend their service. I have found ALL the Storage Plus staff ALWAYS pleasant in manner, helpful to reach a good solution to any issues which arise, & tending to be speedy to assist when advice or suggestions are needed. I hold 2 storage units, & have been a happy customer over past 6 mths. I am pleased with the storage of my goods with Storage Plus and would not hesitate to recommend you to anyone seeking to store their goods. I am a long term Storage Plus customer of at least 10 happy years. The staff are always considerate and helpful. Also I find travel to and from my storage very convenient. Charges are relatively affordable therefore I can wholeheartedly recommend this storage option. A lovely experience with Storage Plus service!!! I travel a lot and have been storing my stuff for years. Storage Plus in Sydney’s Rosebery is one of the best storage places I have ever used.The service is always friendly and the staff are consistently helpful and always willing to work with you. Thanks Storage Plus. Keep it up! I use Storage Plus for business storage of important files. As an accounting business, we have an obligation to keep client information secure, and i’m confident that we achieve that with Storage Plus. For a facility that is so conveniently located, they are very competitively priced also. Great service, great value. I can’t think of a better testimonial than to say that I have been a customer at Storage Plus, Rosebery since 2008 and have enjoyed friendly and courteous service from the staff in all that time. Storage Plus has been a great service. They were quick to help me out when I first came into the office and are always helpful and friendly whenever I need anything. My wife and I have been with storage plus for sometime now. Since day one our experience has been faultless, even to the point of saving us a great amount of money with the service and help we have so far been given by your team. Everyone I have encountered at Storage Plus in Sydney has been super helpful and accommodating! Thank you! I have now used Storage plus on 3 separate occasions now after they were recommended to me by friend who had also used them.The storage boxes provided are large, great value for money and the staff are supper friendly. It’s almost like storing your goods at a friends house. Highly recommend. Great friendly and hassle free service. Storage Plus has the space we need and the access when we need it at an affordable cost. Good work guys. Yay! Storage plus is amazing! They are affordable, reliable and friendly. Everyone else should also think that they are very tops. I am VERY happy with the service that was provided to me while using storage plus to house my belongings for 3 months. I was incredibly happy with how my goods were treated, especially by their removals team. I will be using storage plus again for sure. They were great value and Cain and his team were very helpful and flexible. I wouldn’t hesitate to recommend them! We had great service with Storage Plus Richmond. Cain was always helpful and able to retrieve our storage unit with short notice. I will definitely be using these guys again in the future. I used Storage Plus to store goods for about 6 months. Their prices are fantastic, much cheaper than other options. The staff there are extremely helpful and accommodating. Wonderful customer service. I would definitely recommend them. Thank you! Prompt service and always with a smile. We wanted to downsize our storage and we were provided with a range of options to choose from and it was so easy! Staff were always pleasant and helpful from start, during our time and at the end. we were happy with the service and storage. My experience at Storage Plus was excellent. The reason for moving out is that simply I had moved everything back to my Adelaide home. I emphasise that the service by phone and on site by Jenny was exceptional. I had some difficult deadlines at times and she did help me by making the big box was down or that packing materials were available. Your staff could not have been more friendly or helpful towards us had they been angels!! I felt I was always kept in the loop about any changes. I also altered my storage requirements over the period and the team was extremely helpful. When I finally moved out they also helped to with advice and assistance on a pre-move review of stored stuff and a de-clutter. If there was a storage plus in my present area (Katoomba), I would certainly use it. Otherwise I was actually very impressed with the service and thought it excellent. My experience with Storage Plus was a excellent experience, the ladies in the office make the experience from start to finish an enjoyable one. The time I had my storage with Storageplus I found to be nothing but professional on all levels including your staff in the administration department. They were always very helpful. I use Storage PLUS and I think they give great service and rectify problems promptly. As I now temporarily reside overseas, I need a storage company that I have confidence in. I strongly recommend. I find the staff at storage plus to be accommodating, friendly and above all flexible. I’m not around at the storage for most of the day but i know if i have a delivery the stock will be in safe hands with their on the ball team members. I would certainly recommend storage plus to other potential customers. I’ve been renting storage space on and off for a few years now with Storage Plus. Staff are professional and helpful, and the facility is conveniently located for anyone who needs to access stored good frequently. Awesome. The staff are so friendly and go out of their way. Great prices too!!! Thanks for the awesome service. The ladies there were a pleasure to deal with and the wooden storage box fit in sooooo much. Surprisingly cheap too – I thought storage would cost a lot more. Cheers again guys. Wonderful storage solution. they cater for various sizes, and always very helpful when i have needed to find a bigger store room. Very accesible hours and very happy with the security. Hi Guys, Very happy with the service from everybody in the office and the fork lift drivers , Ellwyn, Glen, Armani and Damien are always very helpful and nothing is to much trouble for these guys. Keep up the good work. The staff at Storage plus have assisted greatly and always been proactive and helpful with any enquires or changes I’ve had to make to my storage facility. When we had a small business we stored our products at Storage Plus for more than 10 years right up till the time our business was sold about 2 years ago. Most satisfactory service we experienced all these years. Staff was very helpful in various aspects. The best storage solution around the area. Good value for money. Cheap yet better storage space and quality service from the staff, compared to other providers around the area. I am renting a “CT size” storage that accommodate all my needs perfectly. Day today operations are very smooth as well. I am very pleased with every thing and highly recommend for any one. The team at Storage plus are the most switched on, professional and friendly people that I have come across in business. I have been using their services for 12 months now and I would not take my business anywhere else. The staff are very friendly and pleasant to deal with. Great location and easy to access, with convenient opening hours. I would recommend Storage Pus to anyone looking for storage at an affordable price. They have helped me out on a number of occasions! Our time with Storage Plus has been amazing, not only are the crew extremely helpful and always a pleasure to deal with, they provide a service that noone else in Sydney can offer. Storage Plus has served over 25,000 happy customers in the 15 years we've been operating. Want to find out how we can help on your storage needs today?